One of the most beautiful things about being a photographer in Panama City Beach is getting to meet new people every day while taking family beach photos. I grew up in a small town in West Tennessee where everyone knew everybody. While Panama City Beach is still a relatively small town, we get hundreds of thousands of beach visitors each and every year. That’s a lot of fresh faces to photograph! 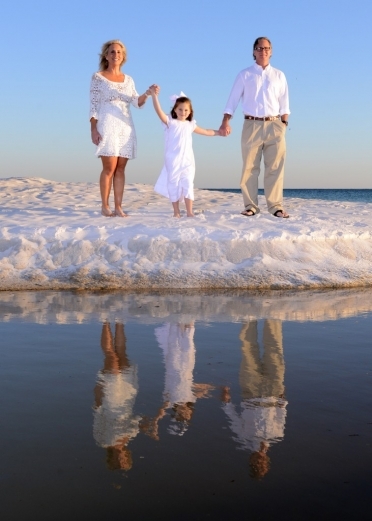 On any given day I can meet people from all over the world who have come to Panama City Beach to enjoy our sugar white sand and emerald green water. I prefer to keep my family beach photo sessions somewhat loose and as whimsical as possible. Certainly there are the standard photos that need to be taken, but after those are finished I like to let loose a little and see what kind of unique photographs we can take that may show an aspect of a family’s personality. Whether it be a jumping off a dune, throwing a child into the air or splashing each other with the warm water of the Gulf of Mexico, I am always looking for that storytelling photo that perfectly documents my client’s time spent along Panama City Beach. What makes my family beach photos different from all the other photographers in town? Well, many photographers these days only use the “available light” method of beach portraiture. Meaning that they do not utilize flash in their photos and opt to use Photoshop to retouch and color correct the images at later time. While there is absolutely nothing wrong with that method, I prefer to use off-camera lighting in the majority of my photographs. Call me old school, but I want to get the image correct in the camera and minimize the amount of time I must spend in front of a computer screen. While my method is somewhat more time consuming, I believe it is well worth the time to get the photo right the first time. The off-camera flash method also helps me to maximize the sunset sky with my photo subjects. 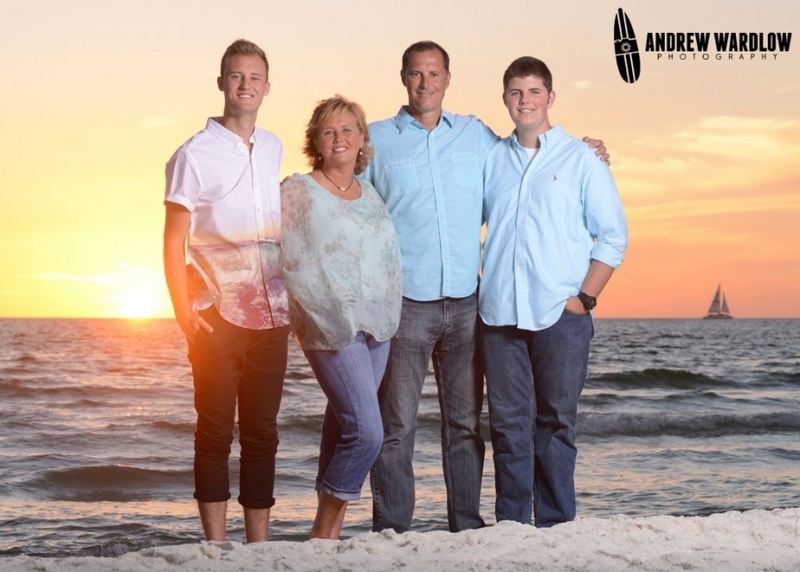 If you cannot see the beautiful Panama City Beach sunset in the photo, what exactly is the point of a sunset photo session? I also try to always give my clients at least one instant photo from our photo sessions. Anyone that knows me knows that I am a sucker for an instant photo. I have a collection of usable vintage and new instant cameras that I utilize frequently in my life. There is just something really cool about holding a photo in your hand and watching the image slowly come to life. It is truly a magical experience. Visitors to Panama City Beach come here to get away from the world for a while and just enjoy life. I want my Panama City Beach family photo sessions to be a fluid part of my client’s vacations and stay with that laid-back vacation theme. If you are looking for a relaxed photo experience, give me a shout and let’s book a family beach photos session. I’d love to meet you!